Malabrigo Yarn was the first ‘nice’ yarn I ever bought and my first favorite yarn company. Likewise, the Malabrigo Junkies group was my first ‘home’ on Ravelry, the first discussion board in which I spent a lot of time and actively participated. They are also wonderful supporters of indie designers and often feature budding designers’ work. As such firsts, I will always love Malabrigo (I have 67 finished projects using it!) and Malabrigo March will always be an exciting, knit-filled month. Malabrigo Rios, colorway Aguas, purchased in anticipation of Malabrigo March! 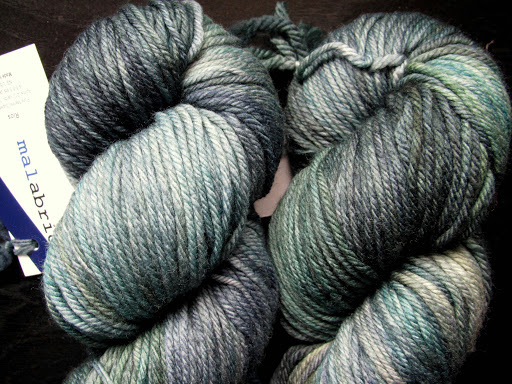 If you like KALs, you’ll love Malabrigo March. You can join as many as you’d like and cast on March 1st. Posting swatch photos, progress photos, and finished object photos in the appropriate thread and tagging your projects with the correct tag will up your chances of winning a prize. There are pattern-specific KALs (I like this, and this, and this) as well as general KALs, which I’ll probably be participating in because most patterns I had queued for Malabrigo are not the specific KALs. I love the entire atmosphere of Malabrigo March: the stash enhancing/stash busting, the racing to the finish line, the challenging oneself with new techniques, and mostly the uncontrollable adding of patterns to your queue/favorites. In a nutshell, it’s a really great way to discover gorgeous patterns and knit them along with a bunch of fun people. Many designers provide discounts off their patterns for the month of March so it’s also a good excuse to support indie designers if you’ve had your eye on something for a while. I hope I’ve inspired you to join along in Mal March, it’s a lot of fun! You’ll be hearing much more about it as I get my projects together… What’s been inspiring you lately? 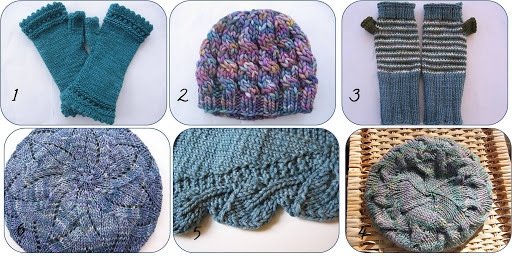 This entry was posted in InspirationSaturday, Malabrigo by shoelaceswitcher. Bookmark the permalink. Oooh, now this is a madness for March I can enjoy! That sounds like so much fun. My LYS doesn't sell Malabrigo though and I'm broke. But … I can't wait to read more about your March! There are just too many wonderful patterns aren't there? Looks like you have some great knitting in your future!